Okay, so I've been uploading a lot of ROMs onto my Sega Genesis Ultimate Portable Game Player via the SD card. For many of these games, you can gain access to the options menu and the main menu, but when you start up the game itself, it just softlocks on a black screen or anything along those lines. It's confusing. Is all this simply an issue with the Sega Genesis Ultimate Portable Game Player's emulation capabilities, does it have to do with the ROMs themselves, or a combo? All of the files are .bin f.y.i., so it ain't anything to do with that I'd presume. I'm at a loss right about now. Many of these games have copy protection which the emulator probably doesn't support. 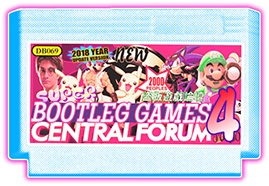 There may be cracked ROMs for several of them, you might have to look through GoodGEN for any alternates to see if it contains any cracked versions. Okay, that sounds like a plan. Hope I can find the ROMs then.